All jewelry (i.e. pendants, dangle earrings or rings) that require mounting with specific pearls chosen by our customers among the wide range of pearl colors, sizes and qualities, are mounted in our lab in France as soon as we receive an order, the delay for mounting operation is about 2/3 days. You find on Netpearls.co.uk many items already mounted that you can buy immediately, like pearl necklaces, bracelets, stud earrings or pearl sets, often delivered in 24 hours to 48 hours. 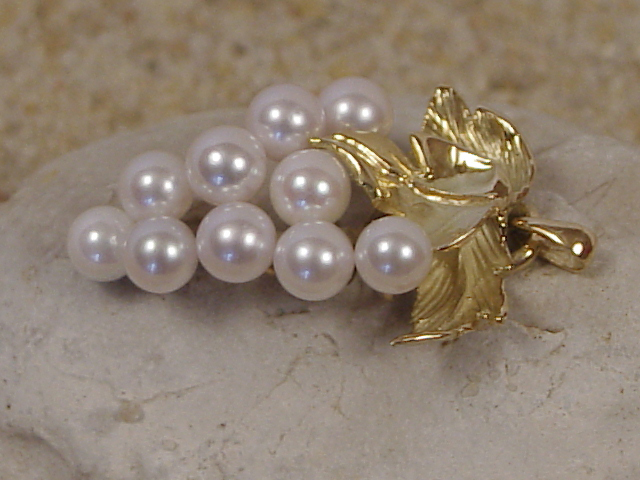 Otherwise we can provide jewelry on demande, like necklaces of a the length that you wish and other creative ideas (like the pearl grapes in the picture below that has been maden for one of our customers), in this case you will be given the delay for mounting your jewel that usually can take one week to 10 days for long pearl ropes. For each jewel you have the choice among a lot of pearl sizes, colors, you can choose pearl quality as well, and if you cannot find what you are looking for, contact us and we will make you a custom quote. Our team of jewelers can make the jewelry of your dreams, with their creative talent, they can also help you and give you ideas. In the picture above you can see a pendant made up with 10 Akoya pearls on yellow gold leaves, made in our laboratory in Cannes. Drilling pearls is a delicate operation, there is always the risk of breaking pearls, a perfectly adapted equipment ensures perfect drilling preserving pearls. 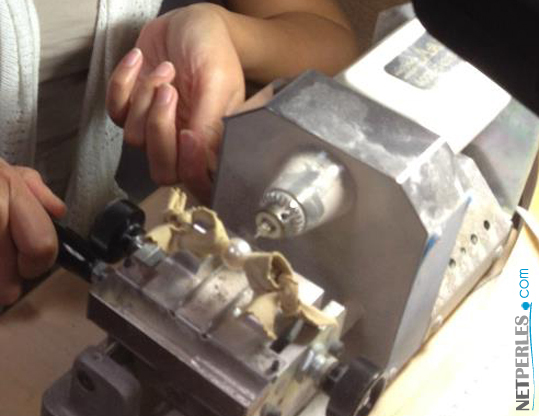 We recommend to order half-drilled pearls when you purchase loose pearls, it's better to get the pearls drilled by expert hands! 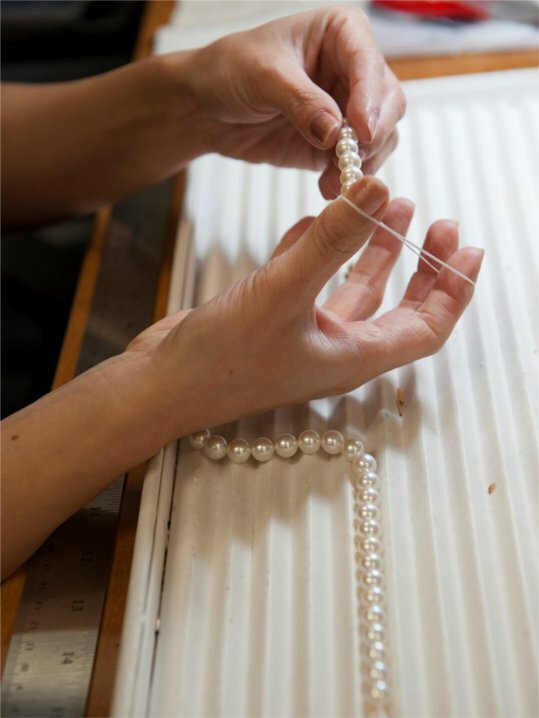 Our pearl necklaces and bracelets are mounted using traditional stringing and knotting techniques on natural silk. The strung pearls don't come in touch because they are separated by knots, they don't rub themselves, and you'll never have to worry about losing any pearls if the strand gets broken.